If you having been travelling along Paya Lebar Road, you will notice the eye catching signage of a new restaurant located along the row of shop houses. 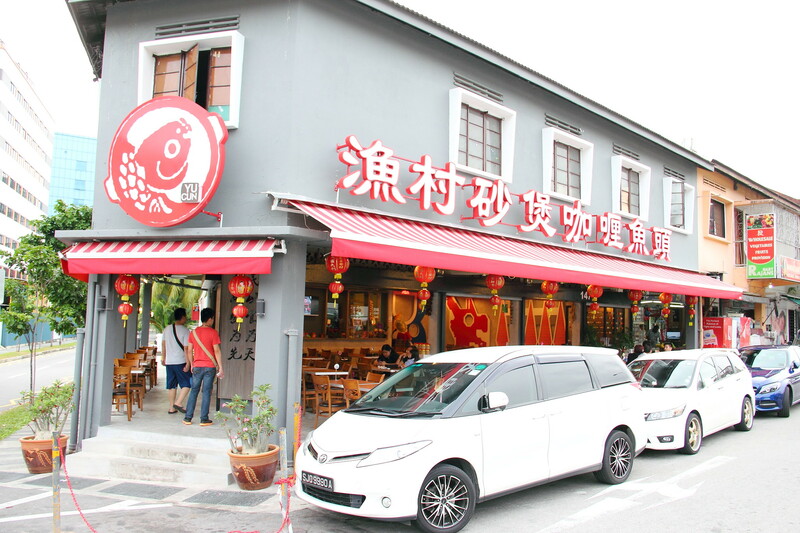 Yu Cun (渔村砂煲咖喱鱼头) is opened by the owner Ah Guan, who has been in the food industry for many years. He started in a young age work at 长城菜饭 before starting his own zi char stall. I understand he owns a couple of zi char stalls around the island but opening Yu Cun Curry Fish Head is a dream as well as a new challenge for him in restaurant business. Being a curry fish head lover himself, Ah Guan decided to feature the Curry Fish Head ($24 small/ $26 big) as the restaurant's signature dish. The restaurant uses sea bream for its curry fish head. There is actually an additional charge of $2 to add vegetables. 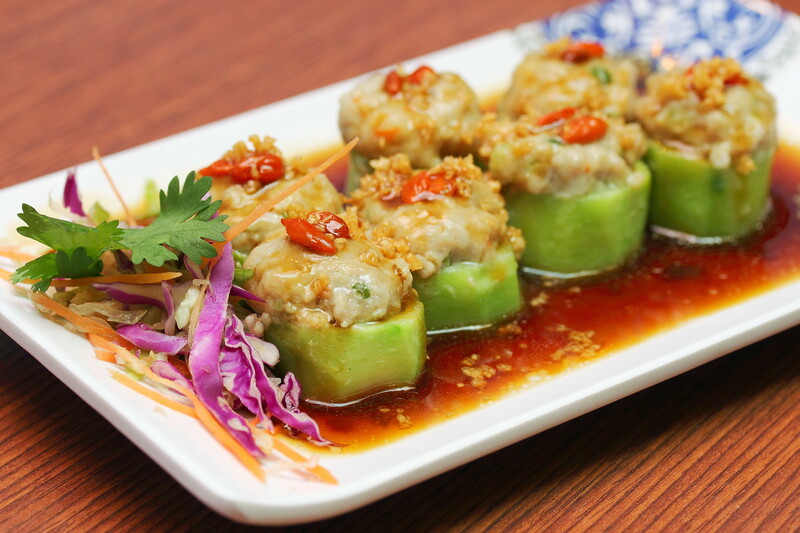 You can also have a choice of spiciness upon ordering. I tried the original version which is rather gentle in its spiciness. I personally prefer it to be spicier. Nevertheless, it will be suitable for families with children who can't really take too spicy stuff. 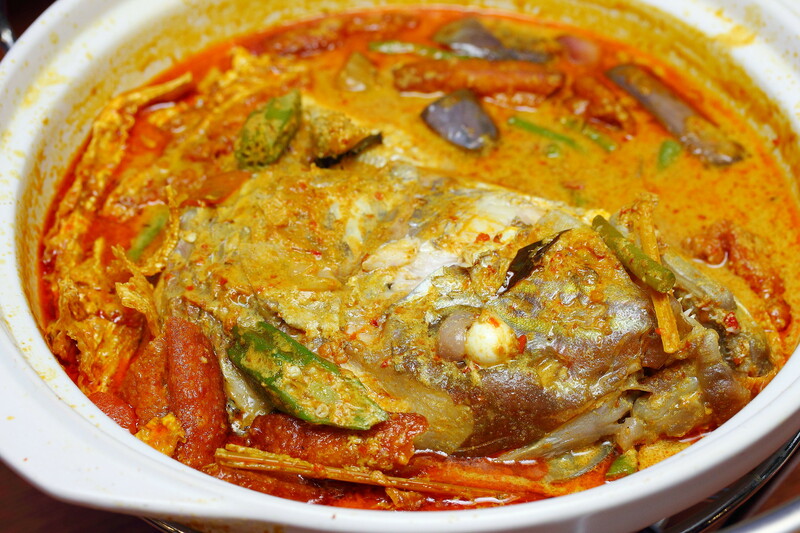 Besides the curry fish head, Yu Cun Curry Fish Head offers quite a variety of cooked dishes on their menu. A memorable dish I tried is the Pork Ribs with Ginger ($7.80). Well infused with the marinade, the pork ribs were flavourful and tender. The Chicken with Radish ($10.80) caught my eye when I was browsing through the menu. I thought this is something not commonly found elsewhere so I ordered it to try. 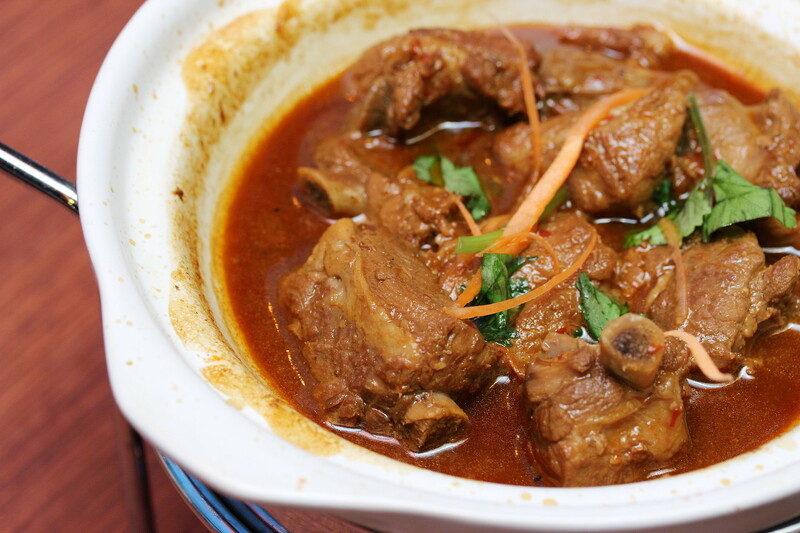 It is an interesting combination of flavours but was lacked down by the cooking of the chicken. It was too dry. 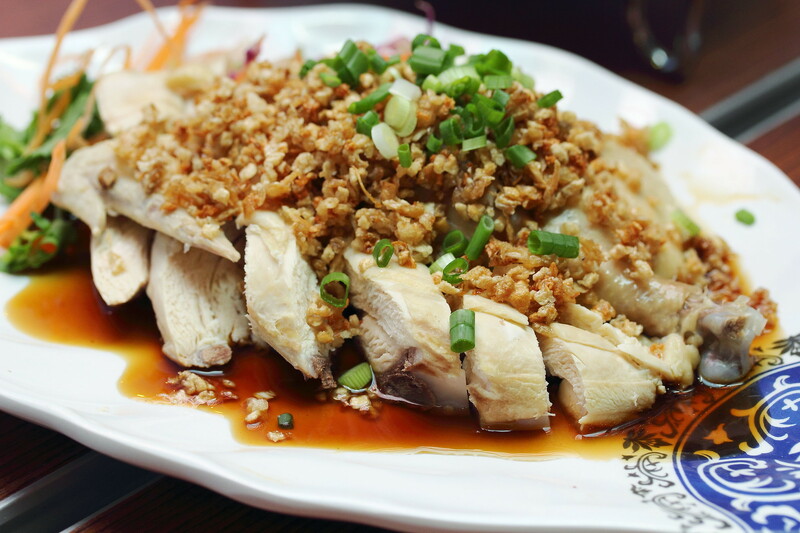 Another chicken dish on the menu is the Rice Wine Chicken ($10.80). 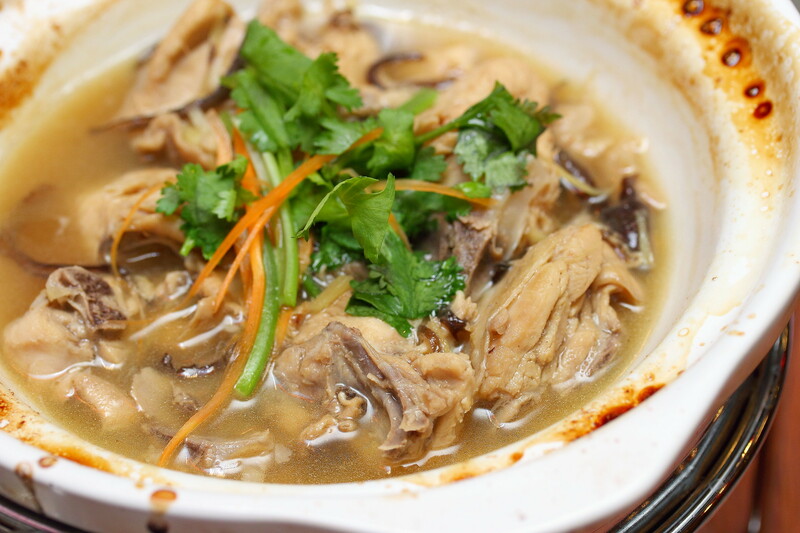 The used of rice wine has lifted the flavours and gave the dish a nice aroma. However once again, the chicken is on the dry side for me. Probably a fatter chicken or use the half/whole chicken to make it into a more elegant dish while retaining the moist would be a better choice. Another dish I noticed on the menu is the steamed pork with a whole piece of bittergourd. Unfortunately it was not available during my visit, hence we settled for the Steamed Pork with Angel Gourd ($7.80) instead. It was pretty pedestrian, not much to shout about. 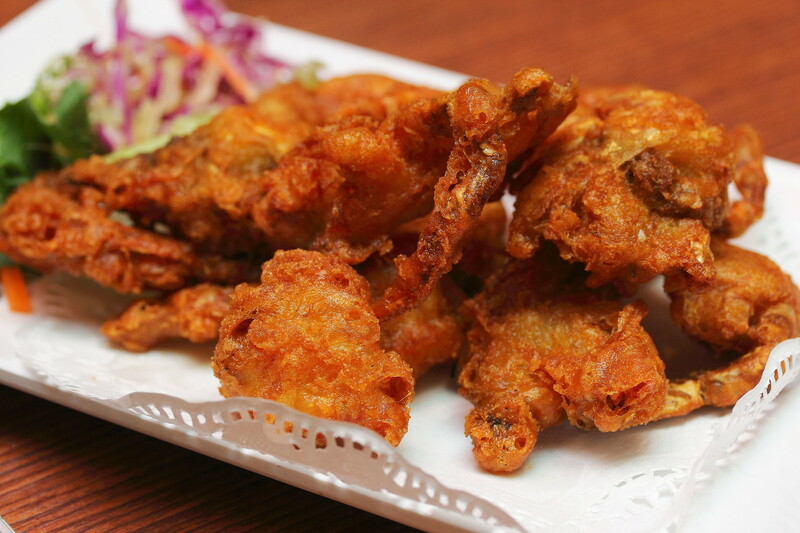 It never came across my mind to order the Fried Soft Shell Crab ($12.80) in a Chinese restaurant. I usually had it in Japanese or Thai cuisine. The soft shell crab here is surprisingly quite good. It is different from the rest I have tried. The difference is in their batter. I tasted somewhat like prawn paste chicken batter. I think I also tasted five spices being added.